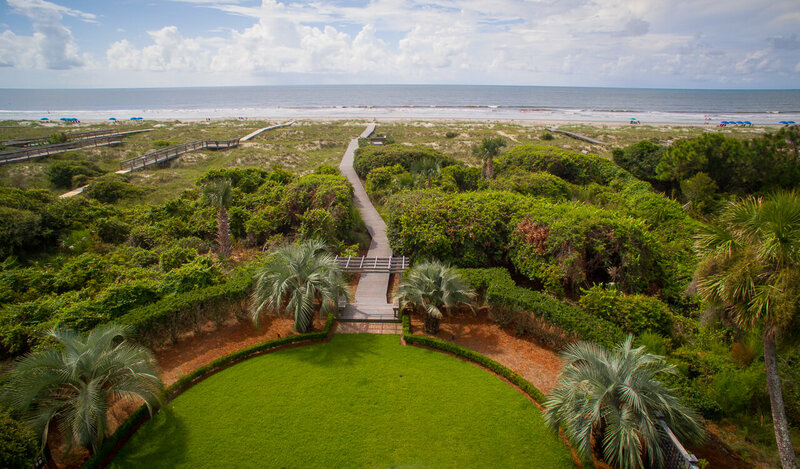 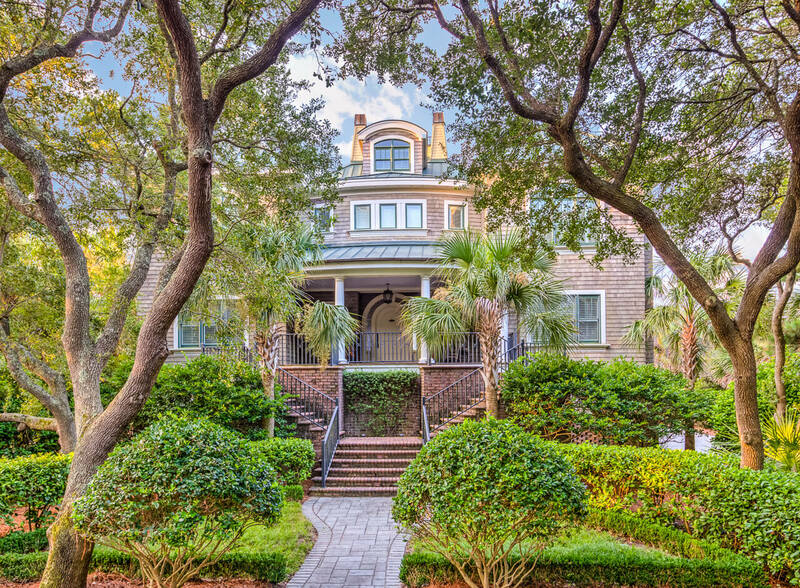 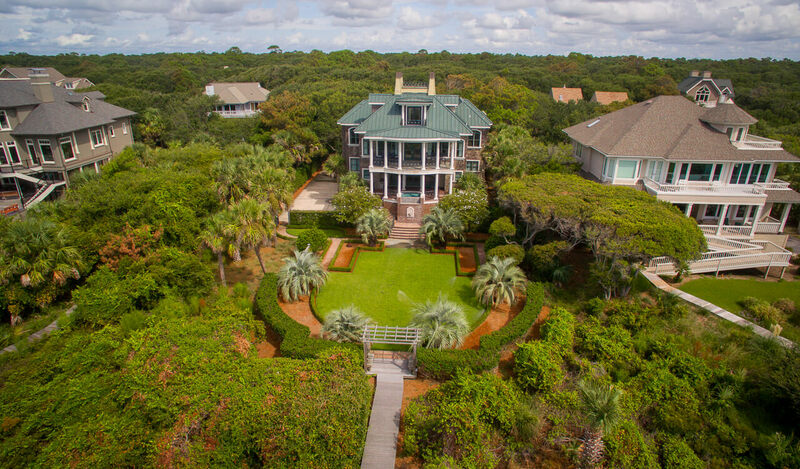 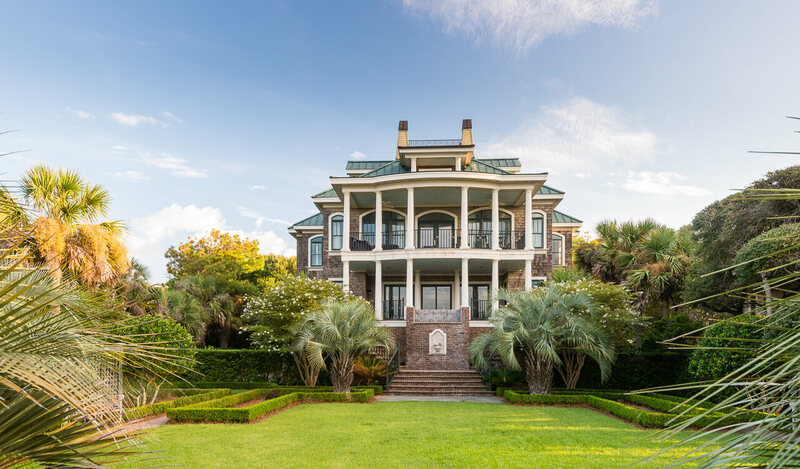 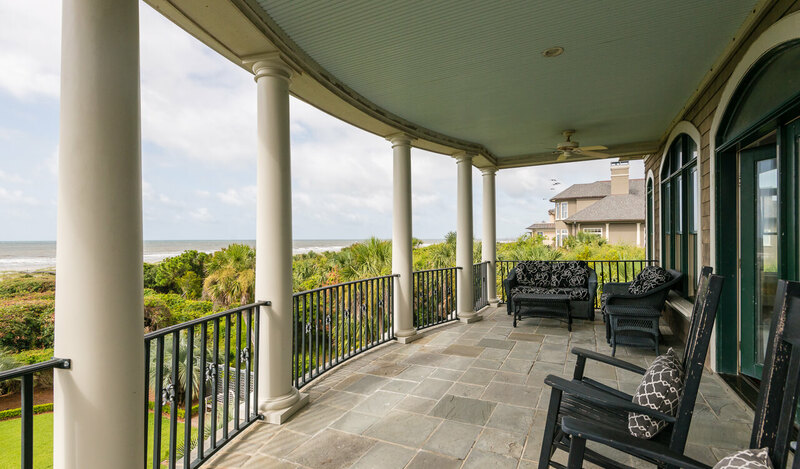 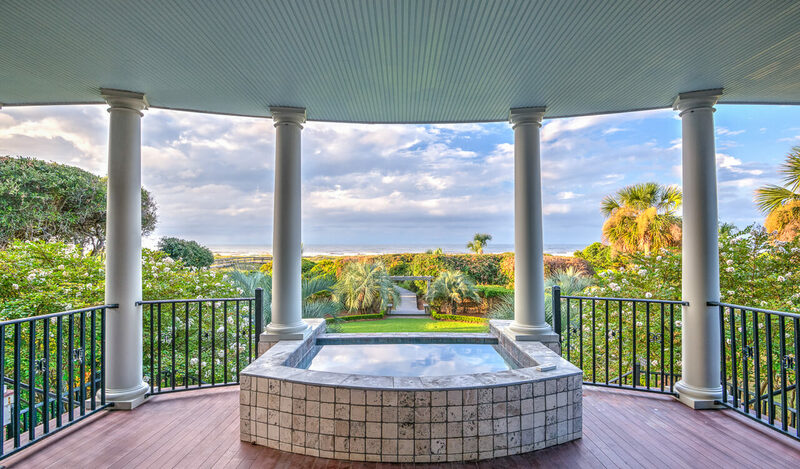 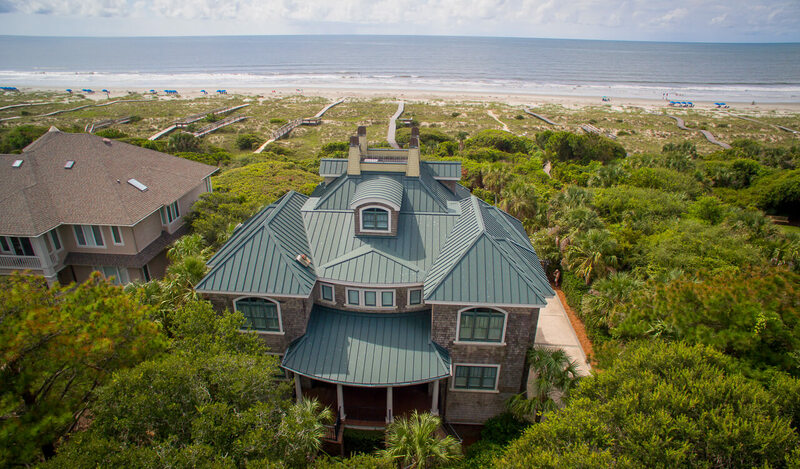 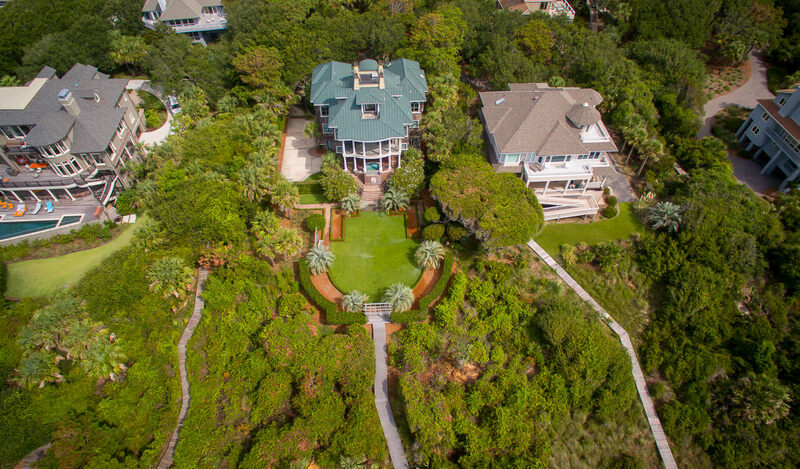 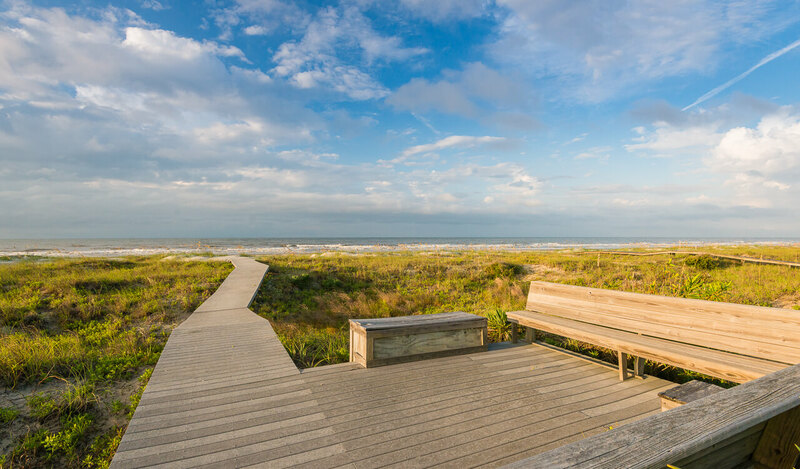 The palatial three-story home at 49 Surfsong Road is the pinnacle of oceanfront living on Kiawah Island. 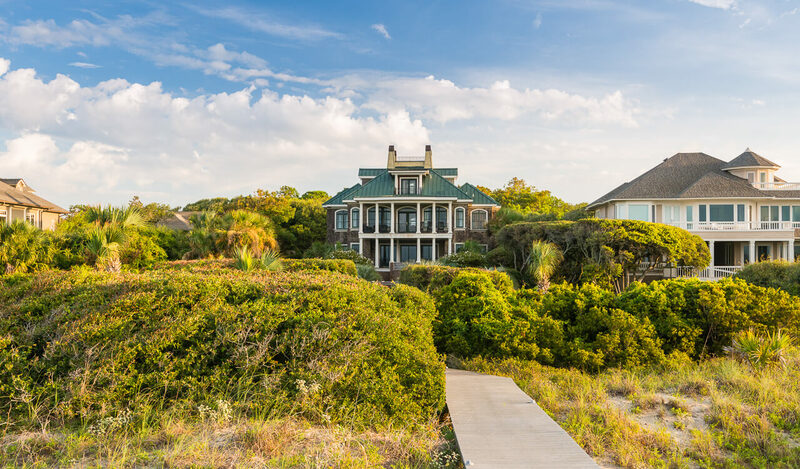 Lying in the heart of Vanderhorst Beach, mere steps from the ocean via its own private boardwalk, this expertly crafted cedar shake home with its metal roof is as elegant as it is inviting. 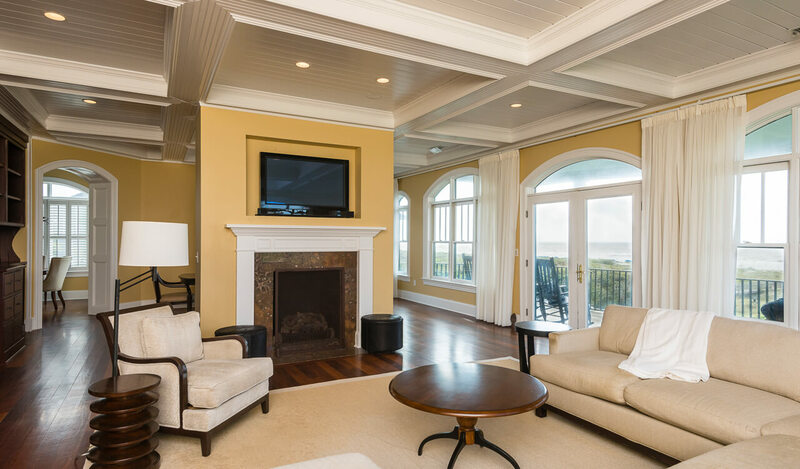 The home’s reverse floor plan provides picturesque ocean views from every floor. 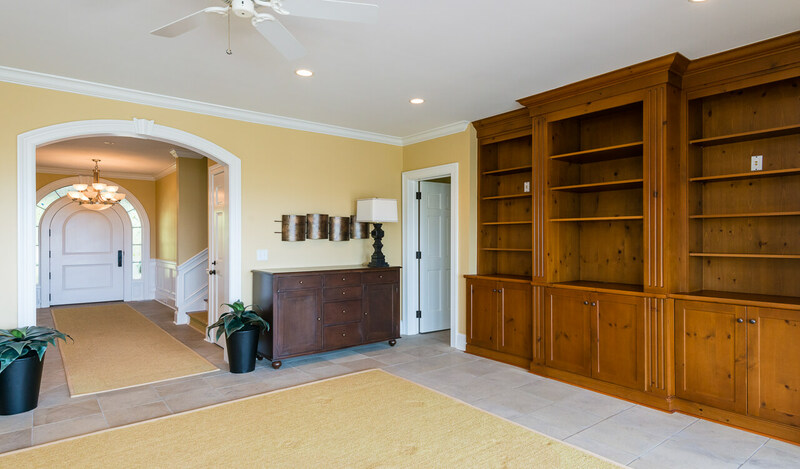 Your first steps into the home put you at the crossroads of access to the welcoming living spaces within. 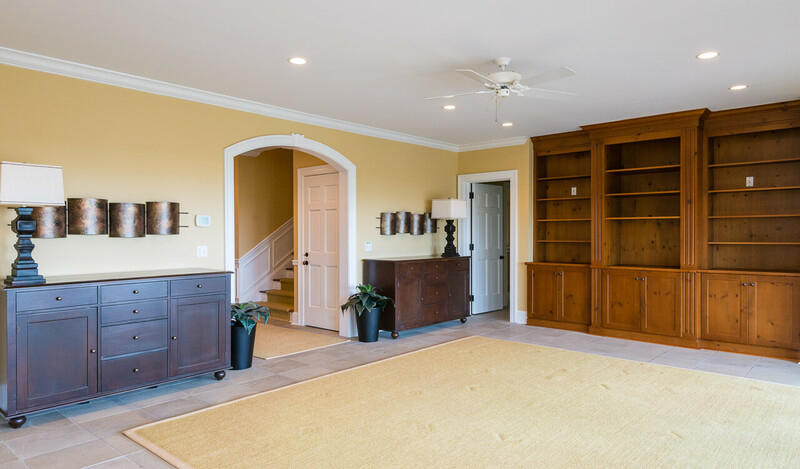 Straight ahead is the home’s spacious first-floor living room with built-in shelving, wet bar, and adjoining full bath. 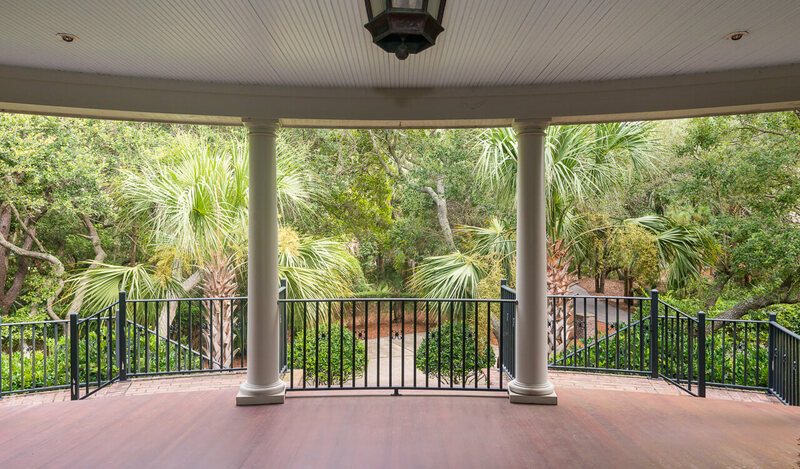 Floor-to-ceiling windows invite natural light inside and oversized glass doors lure you out onto the column-framed rear porch with its relaxing tiled spa. 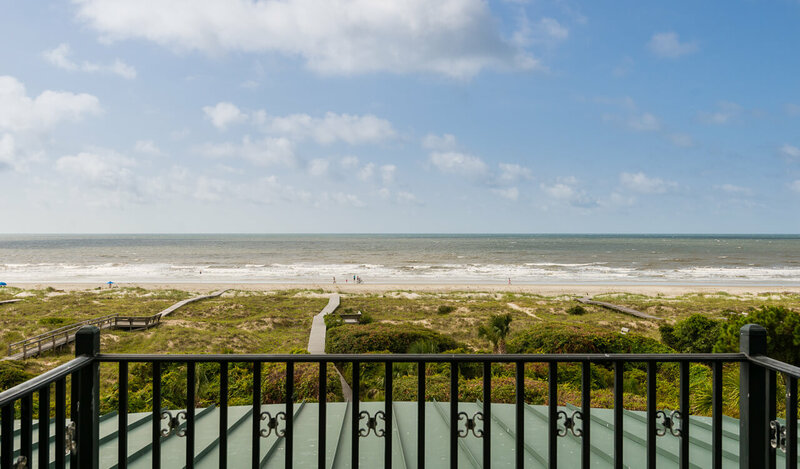 The panoramic view of the Atlantic from this vantage point is simply sublime. 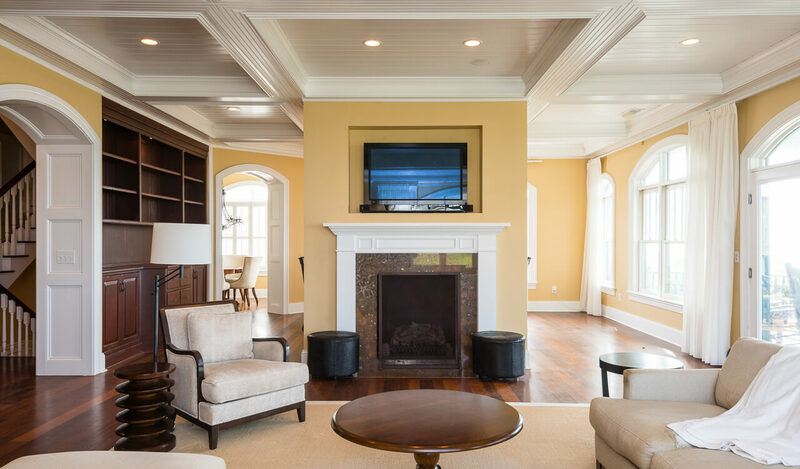 A larger living room with coffered ceilings, hardwood floors, and fireplace awaits upstairs. 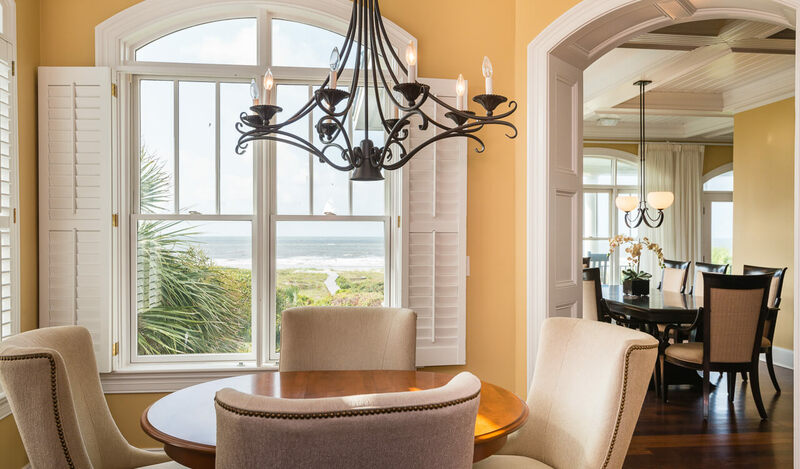 Like the living room directly below, this space features windows and a pair of glass doors that open onto the second-floor porch with even more glorious views of the ocean. 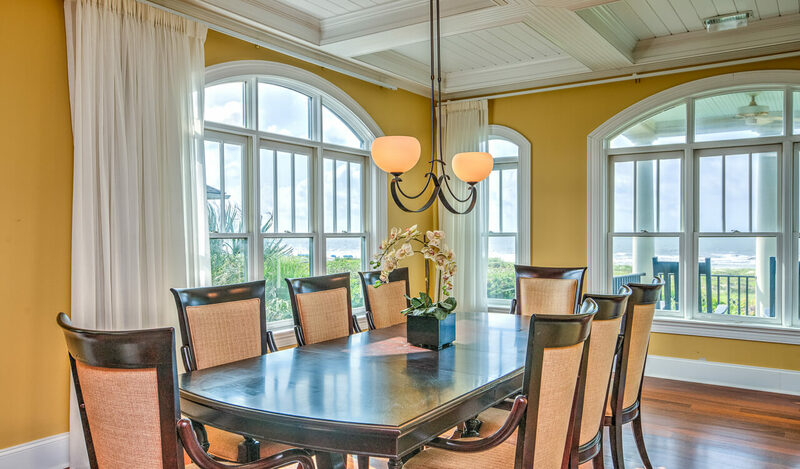 Just off the living and dining area is a fully equipped gourmet kitchen flanked by a breakfast nook on one side and a comfortable sitting area on the other. 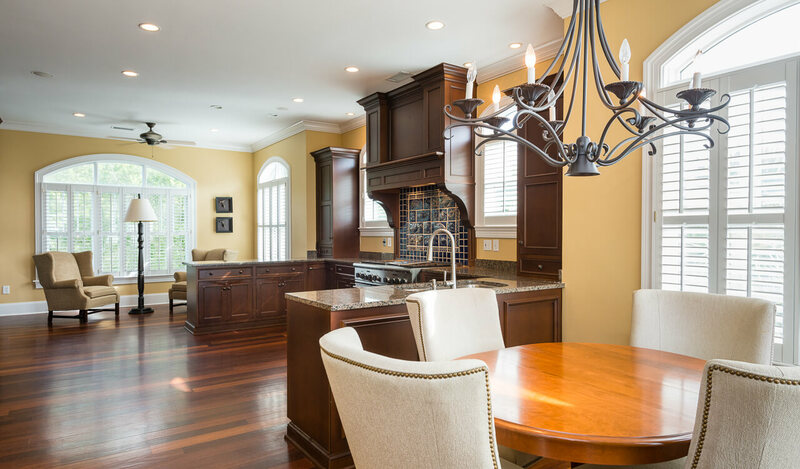 The kitchen features cherry wood cabinetry, granite countertops, stainless steel double-basin sink, custom tile stove backsplash, Thermador® professional dual fuel range, panel-front refrigerator, and wine cellar. 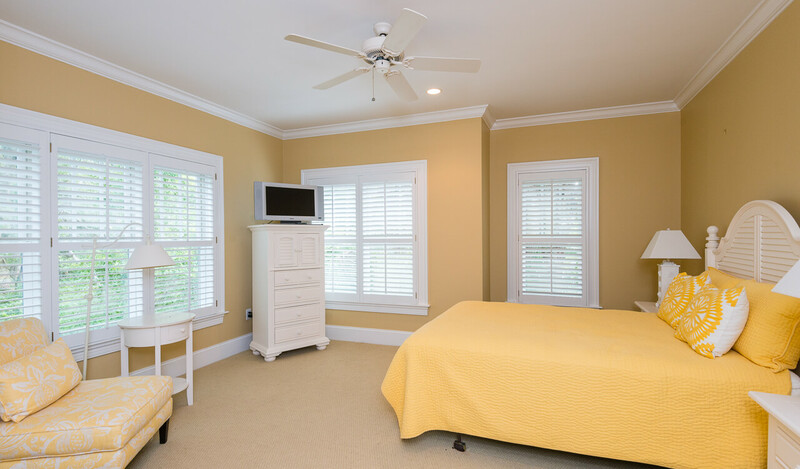 The spacious master suite on the second floor includes a generously sized bathroom complete with double vanity, soothing soaking tub, and walk-in shower. 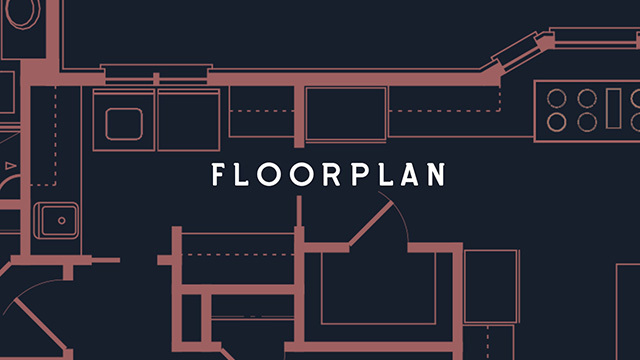 Three additional bedrooms with private baths on the first floor and an en suite bedroom with balcony on the third floor make this a perfect choice for a large family or for hosting guests. 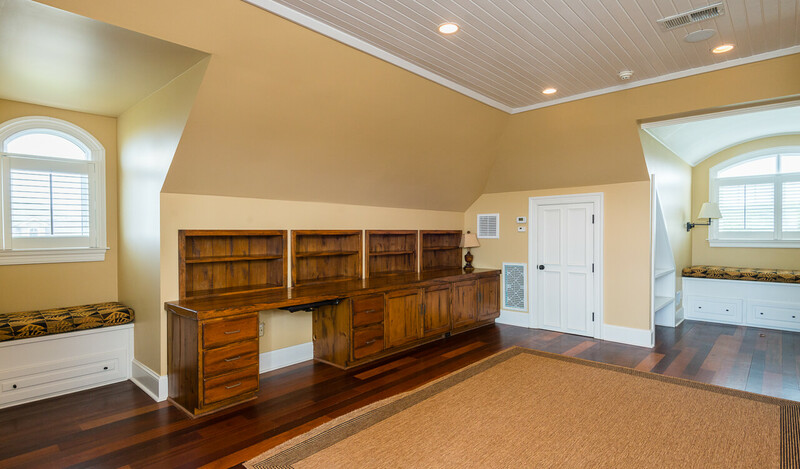 Additional highlights include an elevator, two laundry rooms, and a three-car garage with attached storage room. 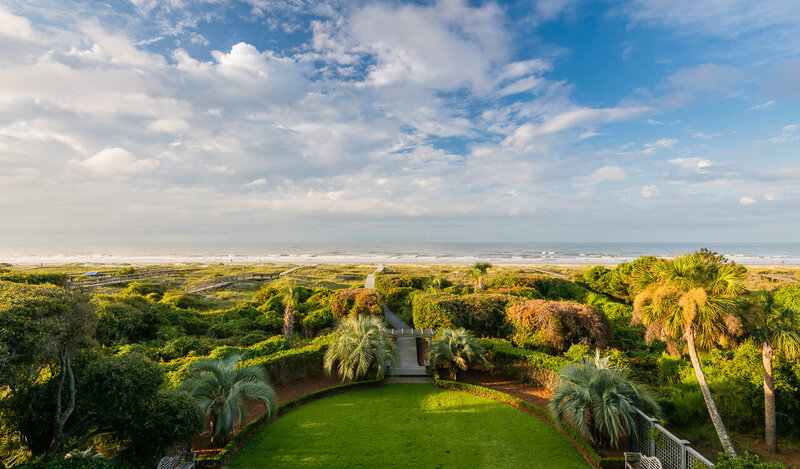 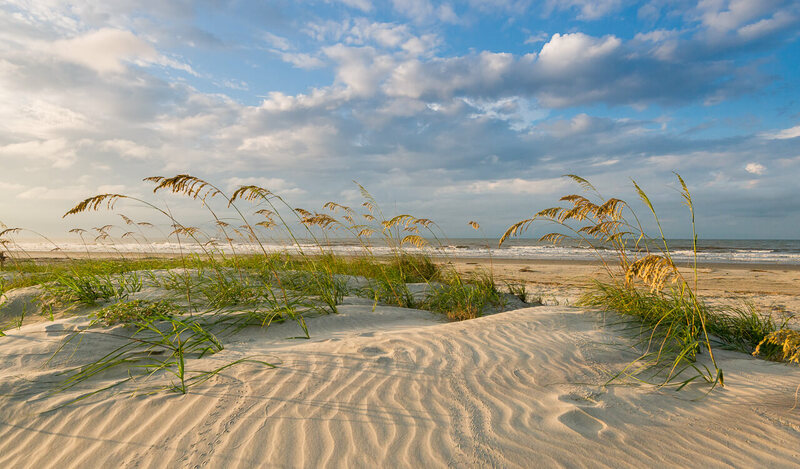 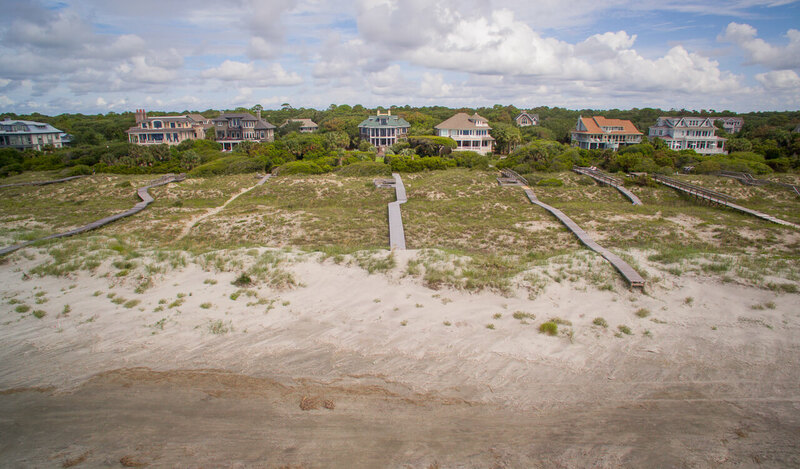 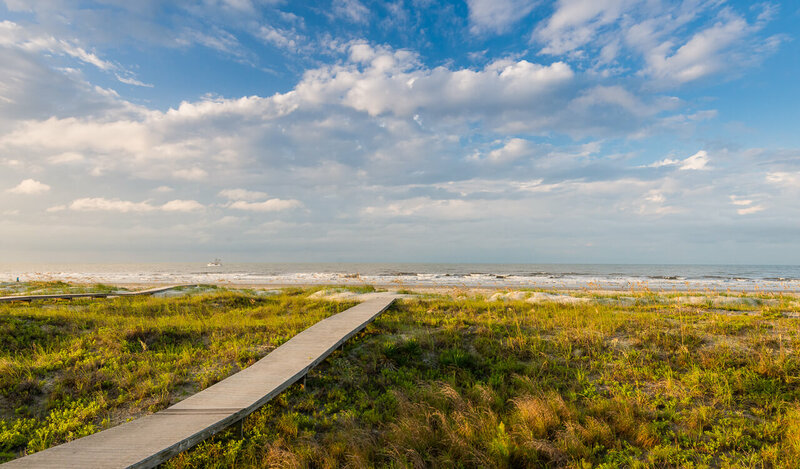 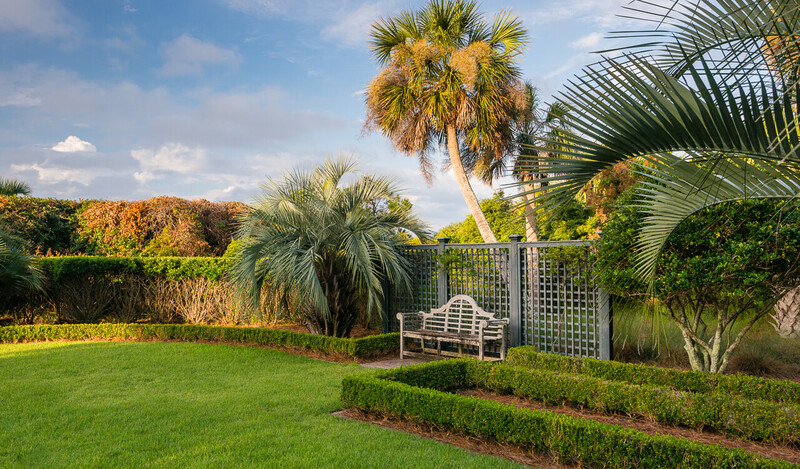 A Kiawah Island Club Golf Membership is offered with this home.